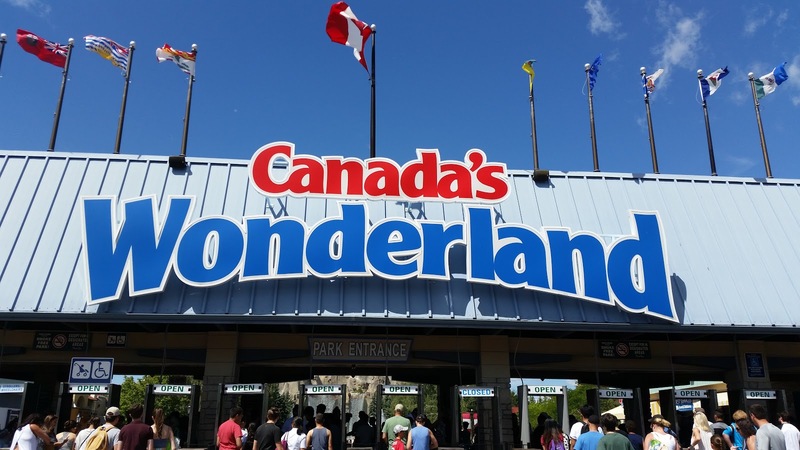 We left Michigan and headed for Canada; the second park on our trip was Canada's Wonderland. 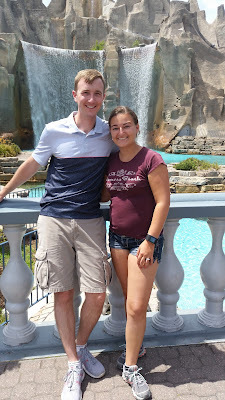 We had decent expectations for this park; it has a lot of coasters and sounded good. And it did turn out to be a pretty good park. 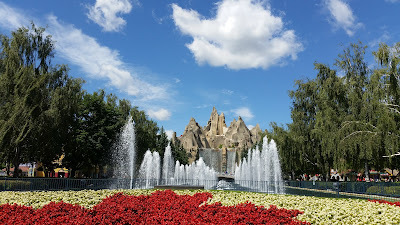 It feels very international (it's just outside Toronto) and had lots of international attendees and park workers on the day we were here, Monday, July 18th. 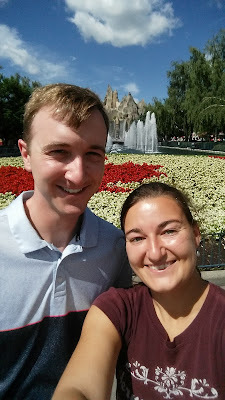 We made it into the park at 11:15am after needing to sleep in a little bit. 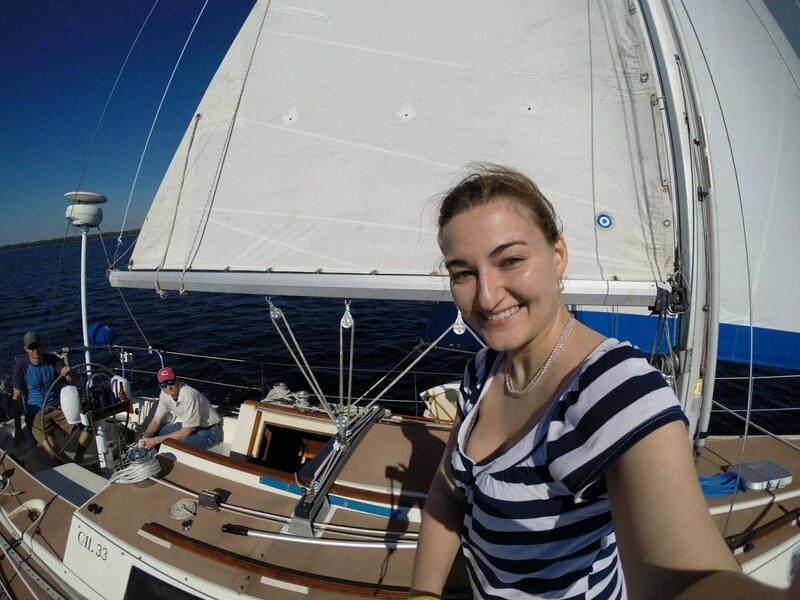 To get here, we drove from Muskegon, MI, to Ann Arbor to meet my friend Courtney and her husband for dinner at the Jolly Pumpkin in downtown Ann Arbor by 6:30pm. We left them around 8 or 8:30 and headed through Detroit to get to the border. We stopped at the duty-free gas station right before the border; it will almost undoubtedly be cheaper for you to get gas in America instead of Canada (it was about Canadian $1 per liter as soon as we crossed...US $4+ for a gallon). My tank holds close to 12 gallons and we were able to make it until we got back to America before buying gas, despite it taking four hours to get close to Toronto that night. The speed limit on the road from Detroit to Toronto is only about 55mph (but listed in kph) and there are several scary signs saying bad things will happen to you (points on license, lots of money owed) if you go more than 20kph over the speed limit. So we went almost the exact speed limit the entire time we were in Canada. We finally made it to a hotel close to the park around 12:30 or 1am. Note: I do not at all recommend driving this road -- the 401 -- at night. There is nothing. You will pass by only a couple of gas station/food stops in little oasis-type areas. It is dark. And you have to go slower than seems reasonable on a very flat, very empty road. 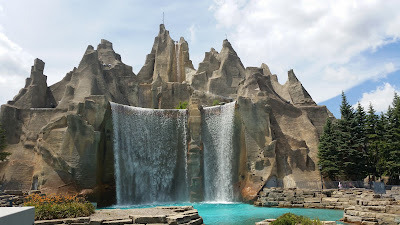 Anyway, the park has a really pretty entrance with a large mountain (Wonder Mountain) with big waterfall (Victoria Falls) and water fountain display. There is a lighting ceremony at close at the fountain but we did not stay for it (it looks cool online though). Several rides go through Wonder Mountain. It was very windy and some rides were closed (Wind Seeker, Drop Zone) like in Michigan. We also watched two shows, the Victoria Falls Divers and a limited-time show from a Beatles cover band, Day Trippers. 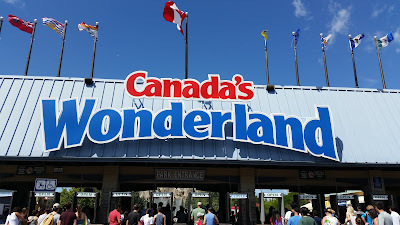 The only real coaster we didn't ride was Mighty Canadian Minebuster, which is wooden. We left the park about 8pm, tired, and headed to Niagara Falls. 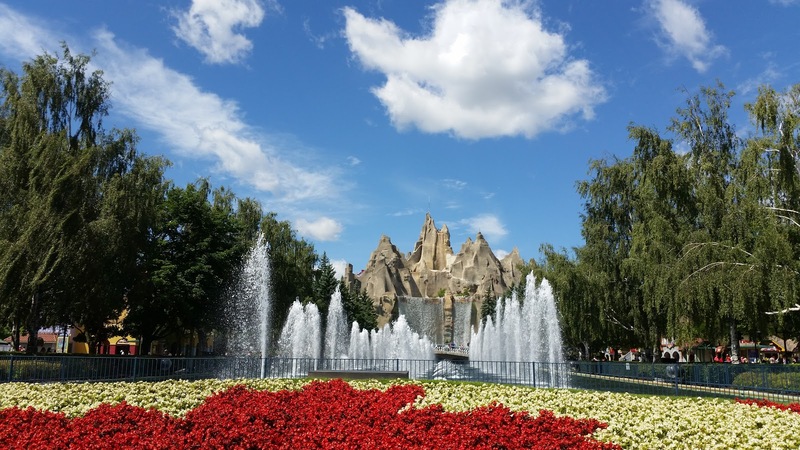 You can see Eric's roundup of Canada's Wonderland here at his blog.